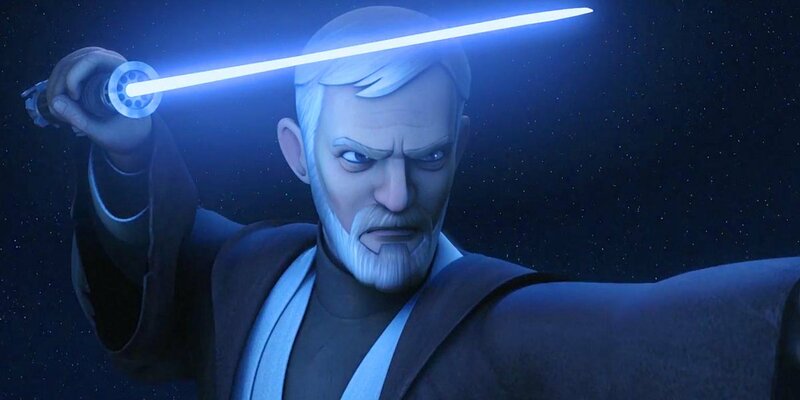 Star Wars Rebels Season 3 Epic Mid Season Trailer Features Obi Wan! Hope. Revenge. Rebellion. See what’s to come in the rest of Star Wars Rebels Season Three in this exciting mid-season trailer, which features lots of action, adventure, and the return of Obi Wan Kenobi! Been really enjoying Star Wars Rebels, Season 3 has been the best yet, can’t wait to see the rest of the season – especially as it will feature Obi Wan! Star Wars Rebels returns on Saturday, January 7, at 8:30 p.m. ET/PT on Disney XD! I really need to catch up on Star Wars Rebels. The Season 3 episodes I’ve seen were great. Obi Wan joining in, even if it’s just for a few episodes, is awesome. This show has continued to impress me week after week. Sadly, I have some friends that are too big of “fans” of Star Wars to even give it a shot. They don’t realize the deep nuances this show has to the Star Wars mythos and the great storytelling it delivers. I also recommend the later seasons of Clone Wars for the same thing. Can’t wait to see if Maul makes it out of this alive or if this is truly his demise at the hands of Obi Wan Kenobi. I’m planning to catch up on Rebels soon – the mid season 3 trailer looks amazing. So many plot threads packed in there. I’m interested in how they are producing Alec Guinness’ voice for the Obi Wan scenes. Would certainly recommend Star Wars Rebels, this season has been exceptionally good. Yes, I think it sounds like Ewan McGregor’s voice to me, which would make sense as he was in the Prequel trilogy and the Clone Wars sereis, for Obi Wan. Will be great to see Obi Wan in this new series! Just watched the Obi Wan episode… I know there’s a lot of mixed feelings about it, but I thought it was awesome!